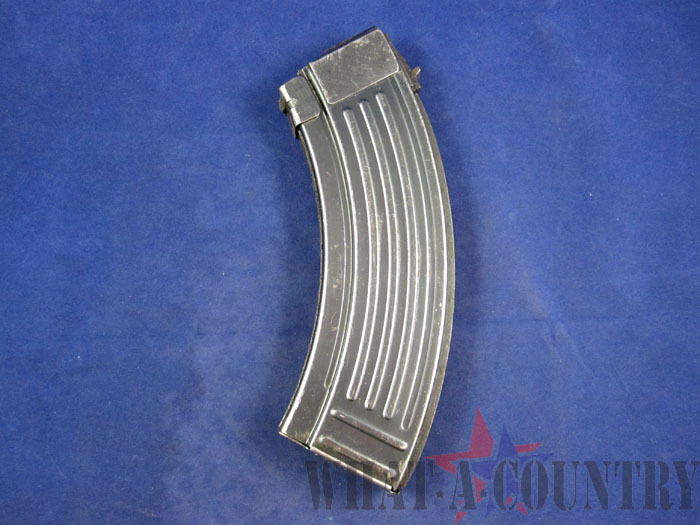 Yugoslavian AK-47 30-Round Magazine. 7.62x39 - Bolt Hold Open. Condition: Surplus used, good to very good condition; pre-ban. Being surplus magazines these are subject to imperfections such as scuff marks from storage or use, very small spots of rust, minor pitting, tiny dings, and engravings of numbers/initials and so on.